Ice sports have a long tradition in the Upper Engadin. In winter, every village has an ice field for curling, Bavarian curling, ice hockey and ice skating. The areas for ice skating are free of charge, while the curling and ice hockey sections can be rented (reservation required). 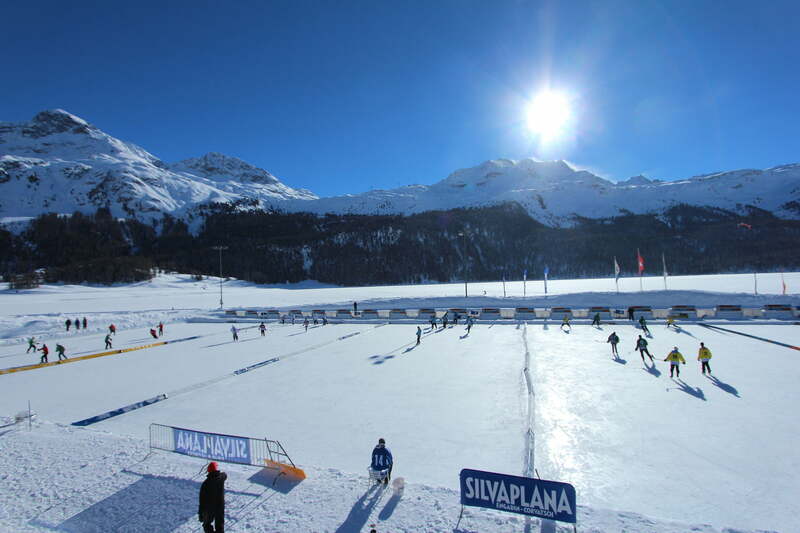 Many of the ice rinks are also open in the evenings, while the Eisarena Ludains in St. Moritz Bad offers ice skating fun all year round. Intrepid ice sports enthusiasts, meanwhile, can tackle the ice climbing wall on the Diavolezza.